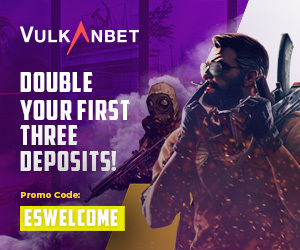 The largest Counter-Strike: Global Offensive skin-betting site in the world is reportedly owned by by the same company that acquired one of the biggest names in European esports. ESForce Holdings, which acquired the majority of the Virtus Pro brand towards the end of 2015 and also owns the media rights to Eastern European giants Na`Vi, allegedly owns as much as 90 percent of the betting site. It has yet to disclose its relationship to the public. The company’s documents of ownership, obtained by the Esports Observer, clearly show that ESForce Holding, a sub-company of Russian-Kazakh billionaire Alisher Usmanov’s USM Holding, are the majority owners of the site. Additionally, ESForce Holding also own the majority of broadcasting studios in the region, as well as 180 websites and a major tournament within the region. The revelations may strain the Virtus pro brand’s’ reputation with the game’s developer. Following the match-fixing scandal of 2014, where four North American players admitted to throwing a match for skins, Valve released a set of guidelines any player, team and organization would have to comply with in to participate in a Valve-sponsored event. Alisher Usmanov, who also co-owns London-based soccer team Arsenal, entered esports at the end of 2015 by investing $100 million into the Virtus pro brand.